Authorized Users. The following categories of users of the ACM Books (ACM BOOKS) are recognized as Authorized Users: persons affiliated with Northeastern University as students, faculty, or employees, authorized persons physically present in Northeastern’s library facilities. Authorized Users as defined above may be permitted by Northeastern to access the Licensed Work via proxy IP authentication through a secure connection on Northeastern’s Network. Authorized Users may make all use of the Licensed Materials as consistent with the Fair Use Provisions of United States and international law. Nothing in this License is intended to limit in any way whatsoever any Authorized User’s rights under the Fair use provisions of US or international law. (a) Display. Authorized Users shall have the right to electronically display the Licensed Materials. (b) Digitally Copy. Authorized Users may download and digitally copy a reasonable portion of the Licensed Materials. (c) Print Copy. Authorized Users may print a reasonable portion of the Licensed Materials. (d) Course Packs. Authorized Users may use a reasonable portion of the Licensed Materials in the preparation of Course Packs or other educational materials. (e) Electronic Reserve. 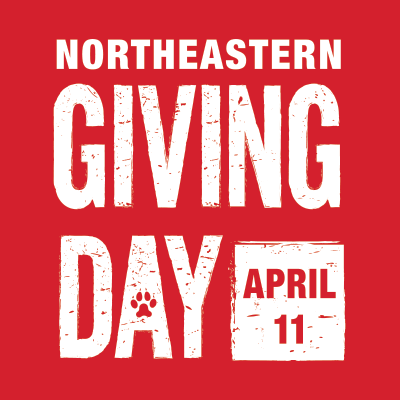 Authorized Users may use a reasonable portion of the Licensed Materials for use in connection with specific courses of instruction offered by Northeastern University. (f) Databases. If the Licensed Materials are a database, compilation, or collection of information, Authorized Users shall be permitted to extract or use information contained in the database for educational, scientific, or research purposes, including extraction and manipulation of information for the purpose of illustration, explanation, example, comment, criticism, teaching, research, or analysis. (g) Electronic Links. Faculty & Staff may provide electronic links to the Licensed Materials from Northeastern's web page(s), and are encouraged to do so in ways that will increase the usefulness of the Licensed Materials to Authorized Users. Publisher staff will assist upon request in creating such links effectively. Northeastern may make changes in the appearance of such links and/or in statements accompanying such links as reasonably requested by Publisher. (h) Caching. Authorized Users may make such local digital copies of the Licensed Materials as are necessary to ensure efficient use by Authorized Users by appropriate browser or other software. (i) Scholarly Sharing. Authorized Users may transmit to a third party colleague in hard copy or electronically, minimal, insubstantial amounts of the Licensed Materials for personal use or scholarly, educational, or scientific research or professional use but in no case for re-sale. For purposes of clarity, such sharing shall not exceed more than 20% of any individual title in the ACM Books series. In addition, Authorized Users, upon request to the publisher, may be granted permission to reuse with appropriate credit, figures, tables and brief excerpts from the Licensed Materials in the Authorized User's own scientific, scholarly and educational works, when the Publisher holds the rights for this material. Unauthorized Uses of the Licensed Materials. (a) Derivative Works. Authorized User’s shall not modify, translate, or create derivative works of the Licensed Materials without prior written permission from the Publisher. (b) Copyright Infringement: Authorized Users may not remove, obscure, or modify any copyright or other notices included in the Licensed Materials. All rights, title, and interest in the contents of ACM BOOKS are the recognized property of the ACM and Morgan & Claypool Publishers or their affiliates and no ownership rights, title, or interest are transferred to Northeastern as a part of this Agreement. (c) Commercial Use. Other than as specifically permitted in this Agreement, Authorized Users may not use the Licensed Materials for commercial purposes, including but not limited to the sale of the Licensed Materials or bulk reproduction of the Licensed Materials in any form. (d) Robotic Crawling and Downloading of Publisher’s Platforms. The use of robots or intelligent agents is not permitted under the terms of this Agreement. ACM reserves the right to suspend or terminate this Agreement if systematic downloading of the ACM BOOKS is discovered.